What do you remember about one of your coaches in minor hockey? Just as all players hope to have a fun year with a good coach, coaches hope to make a positive impact on their players. Coaches are going to leave a memory by the end of the season. Similar to teachers, coaches have the ability to make an imprint on players, whether positive or negative, simply based on the amount of time spent together. What they do with that time is up to them. With coaching now a combination of communication, development and evaluation, the definition of success is changing with it. Players can still have a great season even if it is not reflected on the scoreboard. Coaches need to understand the high level of influence they can have on players, whether they realize it or not, and act accordingly. This is an opportunity for them to teach skills both on and off the ice. “When you’re talking about measuring success in minor hockey, my personal belief is how long are these individuals staying in the game beyond when you actually coached them. I know the wins and losses, everyone looks at those. 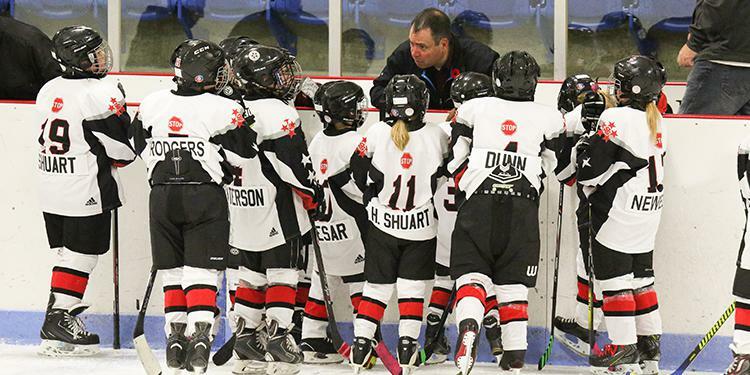 I was fortunate enough to coach in the same association for six years so I truly felt that they believed what in my vision of success was - developing players for the next level and developing lifelong athletes in the game,” said Mike Bara, Manager, Coaching Development at Hockey Canada. Bara credits coaches for being great communicators. Keeping the lines open between players, parents and the coaching staff has become an important part of the game. Where the job of coaching differs from other leadership positions is the ability to help build life skills off of the ice. By getting into the community and giving back to those around you, players and coaches can experience firsthand the impact they are making beyond the game with their actions and behaviours. Bara stresses that coaches should always be learning and willing to adapt. He has taken the time himself to look at how other countries are developing skills in their young players and what he can take away from it and apply to his own coaching. Knowing that different players have different needs (skill, nutrition, physical) at different levels and being able to identify this among them is also an important skill.